Okay. 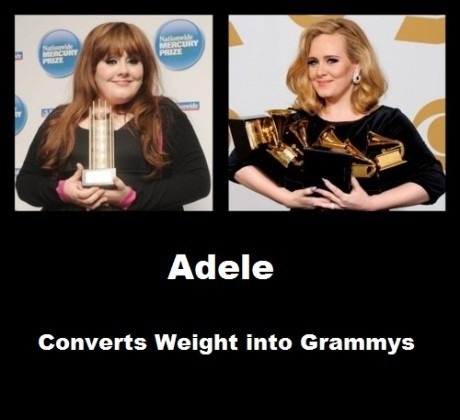 Well, Adele's the talk of the week because of her Grammy wins, but a lot of the talk is about her weight and her image. Lets start out with the thought or conspiracy theory if you will that Adele didn't really have throat surgery, that she had weight loss surgery. Look at this tabloid picture. Apparently now she has an eating disorder, too! Now, look what else I found! All of this in about 5 minutes on Tumblr. SHUT UP. For real. Adele has sold how many records? How many have you sold? That's what I thought. Okay. I get it. 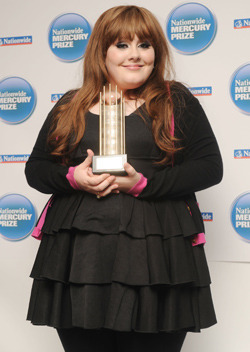 Ya'll are saying that Adele's a liar, that she doesn't really love her body because she lost weight. GET OVER IT. She grew up! Also, her hair is different, her MAKEUP is drastically different, too. I know that I PERSONALLY look different than I did a few years ago, too! Need proof? I might regret this.. but whatever. I'm proving a point. From 2009. I was then 20 going on 21. I look different.. WE CHANGE. That doesn't mean I don't love myself, it doesn't mean I changed because of society. It means that as we grow we learn what looks better on our bodies, what we're more comfortable in and we grow UP. I'm sure if I had a million Grammy's and a damn team of stylists I'd maybe look 10 pounds lighter, too! I'm ashamed to say that I'm following someone on Twitter who said something along the lines of, why didn't Adele get gastric while she was out for her throat surgery? And people are talking about her Vogue cover. How she was photo-shopped... Are we surprised? It's VOGUE for Christ's sake! We should really just be happy that a bigger woman is IN Vogue! Even though they squeeze her into corsets and make her look thinner, at least she's there! Magazines make EVERYONE look thinner, didn't you know that that's what AMERICA DOES? 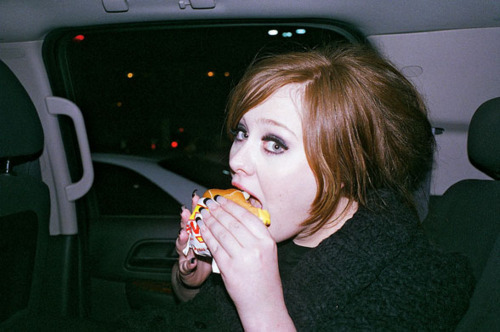 But on to my all-time FAVORITE picture of Adele EVER. Anyway, leave it to our culture to scrutinize someone on their image. On their weight. Even though she's got a killer voice and has made an amazing life for herself, lets just sit here and call her fat. So, keep on doing whatcha doin', girl. I love you. You're truly an inspiration to us all! Beautifully said my dear! Keep up the positiveness! If only we could get more people comfortable with their bodies! Crystal Light, What Are You Doing? Who's to say what's Fat?